Pam Grier—Ambassador for Brown Sugar Network; Iconic beauty of ‘Foxy Brown’ fame gave Spike Lee the book “BlacKkKlansman” — years ago! Focused like a high beam in a thunderstorm Grier has been on a publicity tour this month to talk about Brown Sugar’s Holiday special gift subscription rate which is only $42/1-yr which is a bargain particularly when you add in the recently launched on Xfinity X1, which provides more access to films and documentaries, with offers like “Monster’s Ball,” “Cooley High,” “Super Fly,” and more! A beauty with brains to match, Grier’s had a front row seat to how Hollywood has changed for people of color. In fact, she’s a true trailblazer for hundreds of Black actresses and her films “Brown Sugar” “Foxy Brown,” “Coffy,” “Sheba, Baby,” and “Friday Foster” just to name a few. She earned the producers and studios millions of dollars. Her characters were tough, strong, and at the center of their own stories. To call these films blaxploitation is “missing the point” on so many levels. In 1997 when “Jackie Brown,” Quentin Tarantino’s custom-made vehicle, was released many critics imagined that it would revive her career like “Pulp Fiction” did for John Travolta. It did not and Grier wasn’t surprised. 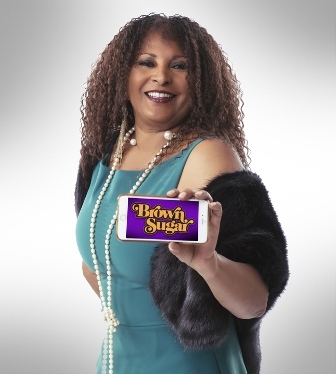 Here’s what Pam Grier the official ambassador and spokesperson for Brown Sugar had to share about Hollywood, life and her future. L.A. Watts Times (LAWT): Hello Ms. Grier, happy holidays! How are you? 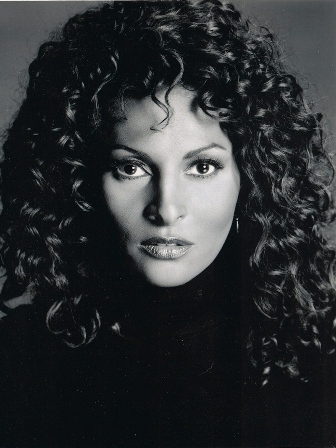 Pam Grier (PG): Hello, L.A. Watts Times. I am great. Are you prepared for the holidays? LAWT: Yikes, no. Are you? PG: (laughing) Yes. I’m prepared to celebrate all year round. Every day is Christmas. If you wake up breathing you are going to have a good day. I have relatives in my family that are aging, matter of fact my mother, who is in her 90’s could not watch a lot of my movies [“Brown Sugar” “Foxy Brown,” “Coffy,” “Sheba, Baby,”] but now with Brown Sugar, she can watch them all. She loves it! We are having these Brown Sugar film festivals and just to see her face light up, seeing all these films that feature Black people, well — it’s something. Brown Sugar is one of the best streaming services to see the legends. LAWT: You are the official ambassador of Brown Sugar, correct? PG: When Jonathan Katz the President [& CEO] of Bounce TV came to me, after hearing me talk about important it was to have more African-American and Afro-centric films of our culture represented … we must continue to have our brand recognized. Brand recognition is sustainability … because of Brown Sugar showing over 300 movies and concerts … it inspires filmmakers. It’s historical and entertaining. LAWT: You really know a lot about the business side of showbiz? What was it like then as compared to now? PG: Well to begin with my films stayed in the theaters for a long time. Some owners thought that our films stayed too long but we were making money. I remember one of my friends, Jack Silverman of the Silverman Theaters, who said, ‘Pam, your movies are so popular, white moviemakers are going to get mad at you because they’re staying over and over and over again.’ And so out of that necessity came genius; they started creating the multi-theater complex, where you could have a Black film, a Western, a Disney Mary Poppins, Asian films. Did you know I also told Spike Lee years ago about “BlacKkKlansman”? LAWT: And what did Mr. Lee say, then? PG: Here’s how it happened. The brother who wrote the book (Ron Stallworth) lives about 40 miles from me... I sent [Ron Stallworth] the book [Black Klansman] years ago to Spike [Lee] to make. Years ago and his comment was ‘no one is going to believe a Black Klansman.’ Well, he was wrong. LAWT: You mentioned that Brown Sugar has impacted your family. How? PG: My mother is aging and it gives me joy to see her catch up on all of the titles that are available on Brown Sugar. Growing up she was always working. She didn’t have time to go to a movie. She didn’t even get to see my movies then. There are a lot of interesting people in my life. My great, great grandmother had a sugar beet farm and a hotel in Cheyenne, Wyoming in the Black West. She’s from the underground railroad. LAWT: What’s next? Are you working with any young screenwriters to bring your story to life? PG: Yes, I am actually. Thank you for asking. I’m working with a team to create a documentary [on my life] and if you read my book [“Foxy: My Life in Three Acts”] you will see just how many great characters there are in my story. I am also doing a series called “Bless This Mess” for FOX. We just finished the pilot. I wrote a screenplay called “Fried Chicken Chronicles” which I want to direct. LAWT: Can you share any details about “Fried Chicken Chronicles”? PG: (laughing) It makes you hungry, right? It’s about a family of women in the 1970’s. We’ve been divided by a patriarchal community; church and such and society and such and we pull together to reach a common goal. I can’t tell you any more.